*4 The memory available for RAM samples will change based on the use of Expansion PCM libraries. 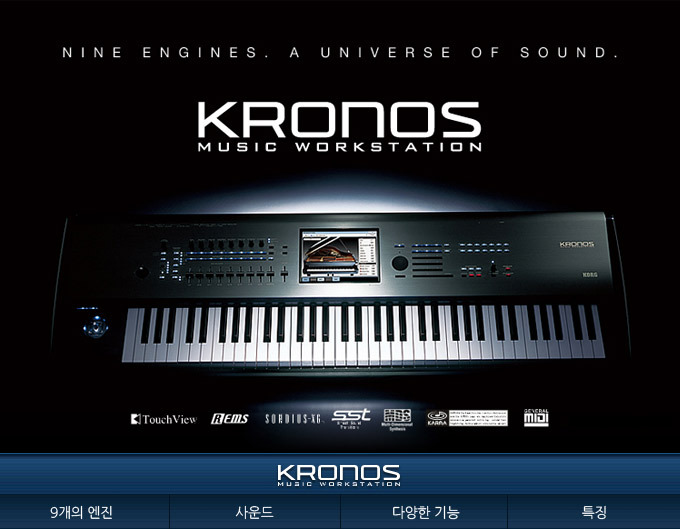 About 273MB is available when shipped from the factory (when loading the file named 밣RELOAD.KSC�). 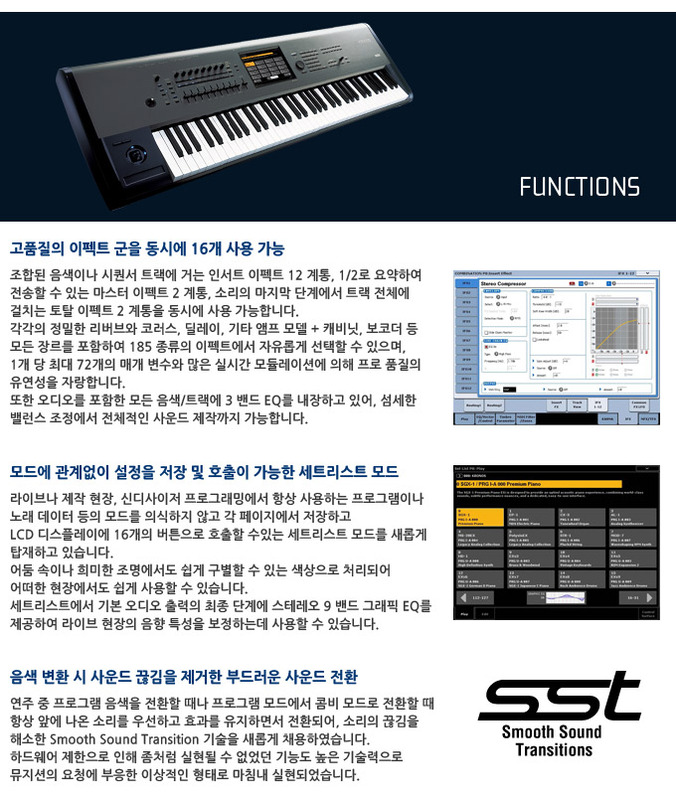 Korg뭩 ultra-low-aliasing technology, as introduced in the HD-1; 4 velocity zones per oscillator; Uses any mono ROM, EXs, or RAM multisamples; PCM can either be used as an excitation signal, or layered with the output of the string. 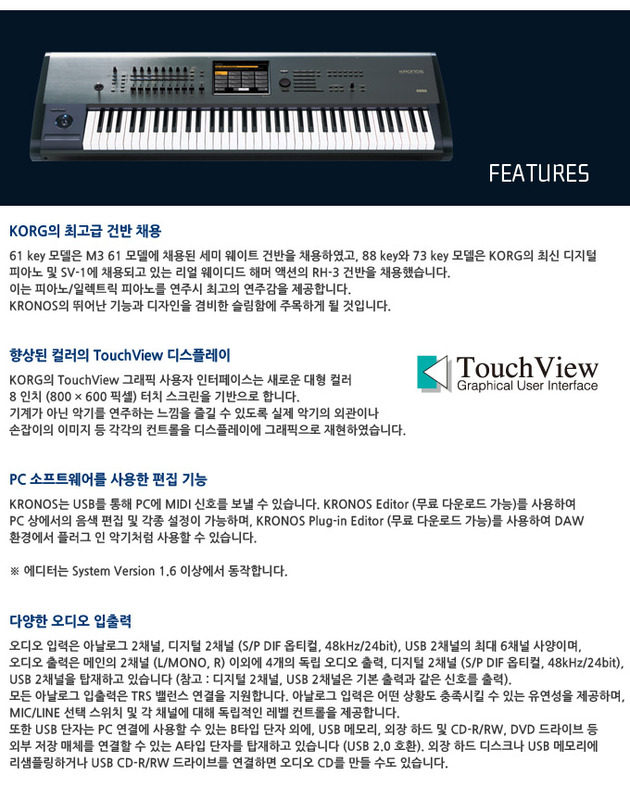 Korg뭩 ultra-low-aliasing technology, as introduced in the HD-1. 4 velocity zones per oscillator; Uses any mono ROM, EXs, or RAM multisamples; PCM can be used as an FM modulator and/or layered with the VPM Oscillators. Noise generator with saturation and dedicated low pass filter. 88-key: 57.28" x 16.18" x 5.71"
73-key: 48.94" x 16.18" x 5.71"
61-key: 41.42" x 14.25" x 5.28"